This order of insects are known by different names in different countries; in Europe they are called the stick insects while in North America they are called the walking sticks, leaf insects or ghost insects. There are at least three thousand different types of stick insects in the world, ranging in size from under half an inch to over twelve inches long. Their speciality as camaflouge is well known, they disguise themselves as bits of bark, twigs or leaves, often changing color and texture to match the surroundings they find themselves in. 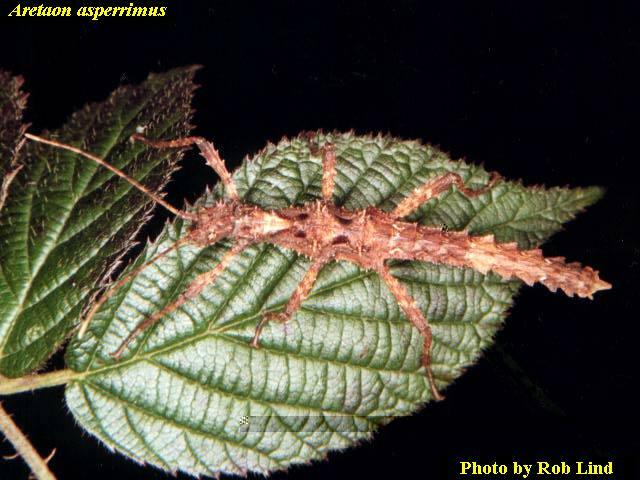 A few specialized stick insects are brilliently colored while others prefer to be plain looking as a dry piece of wood. 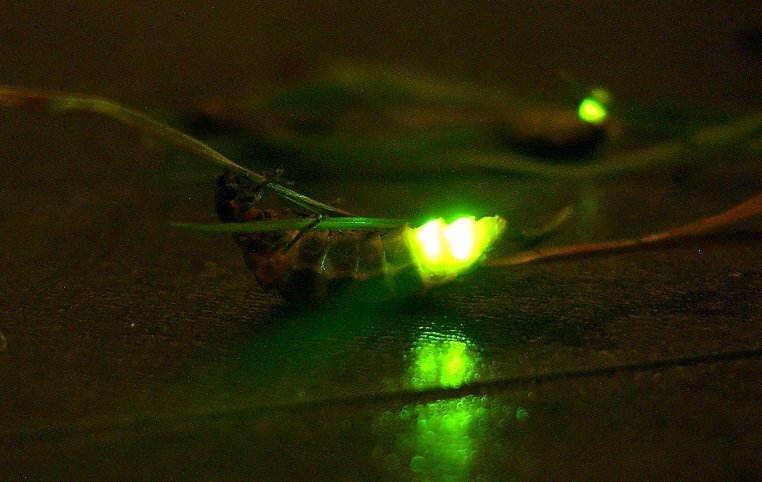 Stick insects are noctornal, most active at night time, choosing to hide during the day. They thrive in the forests and woodlands of the tropic and subtropic regions, feeding on leaves. The need for conservation of these areas is illustrated by the fact we know little about the walking stick insects. Most stick insects are adapt at using their skills of camaflauge to escape being eaten by preditors, some also feign death or lose a limb to escape. One North American kind emits a noxious fluid to avoid being eaten by enemies. 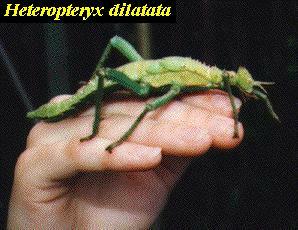 Phasmatodea are kept as pets and in museum collections. They prefer living in the tropic areas of the world and some are endangered or at the least threatened by the destruction of their habitat. The Lord Howe Island stick insect of Australia was thought to be extinct until some were found in a remote area and now efforts to increase their population by raising them in captivity is well under way. Walking sticks are popular pets because they require little care and are so different from the normal pets people own. Care should be taken in handling them as they are fragile. It is a good idea to mimic their environment and food as closely as possible. The Indian stick insect is one of the most popular to be raised as a pet. A care chart can be found here for at the following web site.